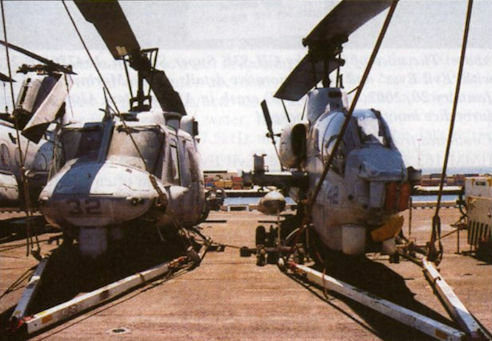 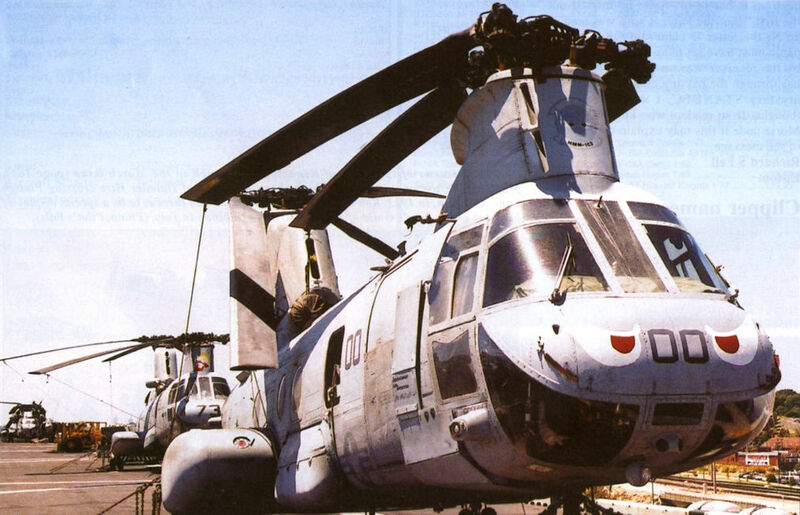 A Bell UH-1N Iroquois and an AH-1W Super Cobra sit side-by-side on the deck of the USS Peleliu. 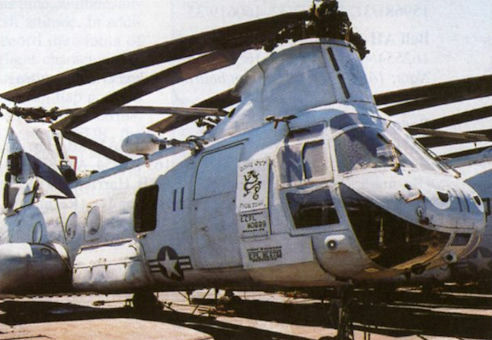 The former has a Forward Looking Infra-Red (FLIR) turret under its nose. 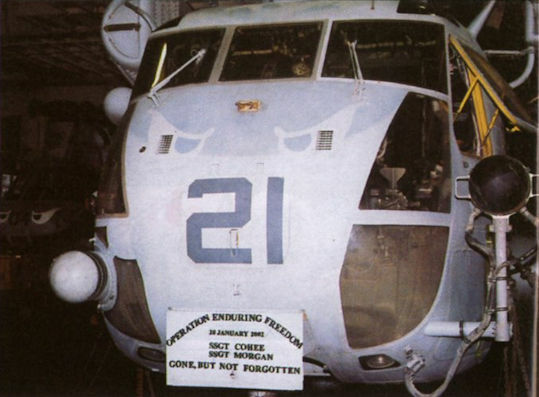 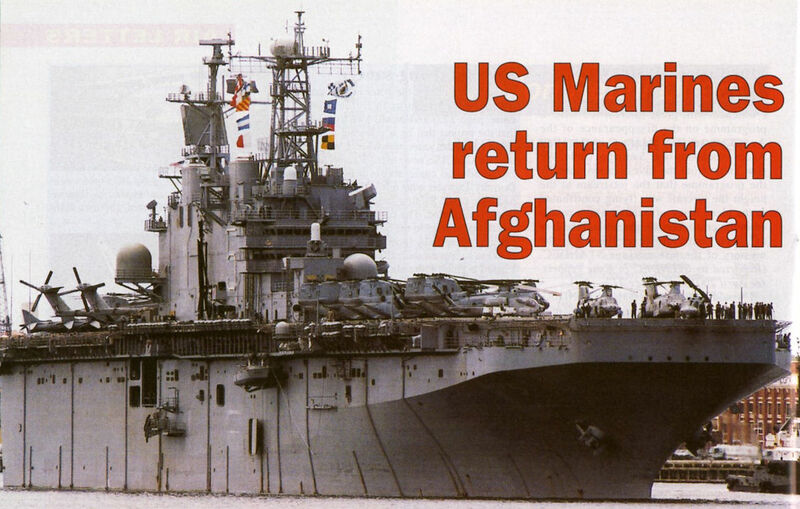 The nose of Sikorsky CH-53E Super Stallion, 164776/YP-21, with ‘Evil Eyes' and commemorative details of two Marines killed on January 20, 2002, in a CH-53E crash in Afghanistan. 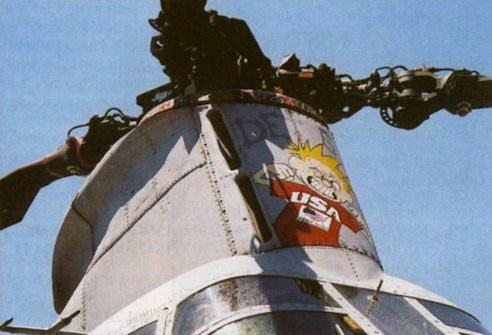 Also, note the furry dice hanging in the cockpit!